Secondary immigrant youth come to schools with a wide range of background knowledge. This phenomenon results due to student age difference, limited ability to speak English, low level of literacy in the first language, and poor academic skills placing them at risk of education failure. Higgs (2005) indicated newcomer programs are designed for newly arrived adolescents with needs beyond those generally served by traditional bilingual or ESL programs. However, these programs may vary from school to school, district to district, and state to state. Goals and types of newcomer programs across the nation. 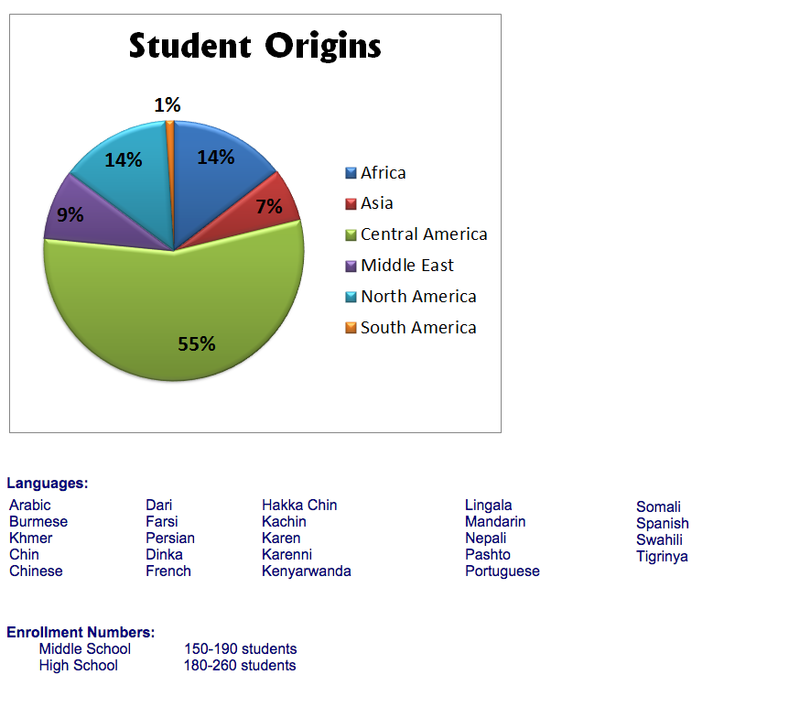 While all schools in America are being called upon to provide educational services for linguistically and culturally diverse students, along with the increasing numbers of newly arrived youth, many districts have established a newcomer program or new arrival program at the high school level to better serve secondary immigrant students (Short & Boyson, 2004). The goals of newcomer programs or schools are identified as programs that assist recently arrived immigrant students, who have very limited or no English language proficiency and often limited formal education in their native countries, in making the adjustment to a new language and a new way of schooling. Echevarria, Short, and Vogt (2004) also noted that because of immigrant students’ varied background knowledge, it is essential that a variety of avenues of learning must be offered in order for them to meet with academic success. The main goal is to prepare the immigrant student to participate and contribute to their learning community through opportunities in accelerated language acquisition and the content areas. In 1983, when the Fort Worth ISD established the Language Center program for middle and high school immigrant students, the developers considered the stand-alone Newcomer concept but discarded it, believing that isolationism and less-than-equal access to quality education might result. In 1993, however, when the Fort Worth ISD reviewed the Language Center program to determine improvements needed, planners again discussed the stand-alone Newcomer concept—this time being able to talk specifically about the ten-year implementation of the Language Center and about the patterns that had emerged during the time affecting the program quality. The concern that the 1983 planners had about isolationism and a stand-alone Newcomer was actually becoming a reality by 1993 for Language Centers. The conclusion drawn was that isolationism was not really a function of location; it could occur even when a program was situated in the heart of a host school. The important issue was what was occurring for students, not where. Once the conclusion was reached, planners began to consider the stand-alone Newcomer concept as a viable means of gaining control over and improving the beginning level program and, as a result, of improving the program for all Language Center students. The International Newcomer Academy (INA) was the result of efforts by the planning committee. The INA is a very diverse school. WestEd is preparing to embark upon an interesting analysis of the efficacy of the school for immigrant students. Below I have shared photos from the visit. As the WestEd research results become publicly available, I will blog them here at Cloaking Inequity. For all of Cloaking Inequity’s posts on English Language Learners click here. Thank you for visually recognizing the art of our hard working, talented students. Art is truly the universal language. As a language through art specialist, it pleases me to have you enjoy our public art pieces at the International Newcomer Academy. I wish we could of met in person while you were here…. Thank you Julian for recognizing a great program. We are very proud of the academy. I will share this post with the staff.